Originally uploaded by Carissa Marie. 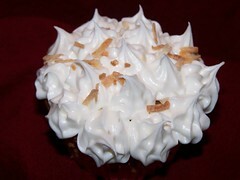 With vanilla almond frosting and toasted coconut topping. Get the recipe at Bakespace.